Jacob is an 11 year old boy. Jacob lives with his 4 siblings, mother and grandmother in a 1 roomed house in a village close to town. Their father has left and has another family. 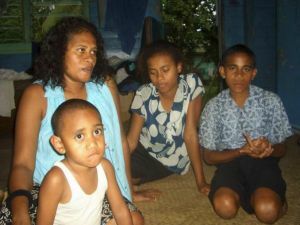 They now live in dire poverty, relying on the grandmother's emergency welfare payments of $35 per month. 6 people share one sleeping mat on the floor and there was no evidence of food in the house when we visited. 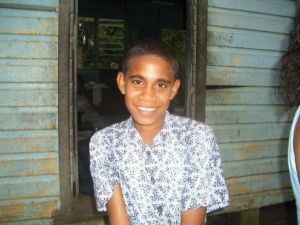 Jacob enjoys attending school and his favourite subject is reading. Jacob travels to school each day on foot. Despite his circumstances Jacob is always smiling, and when he grows up, Jacob wants to be a pilot. When the marriage broke down, Jacob’s mother brought her family back to her village and requires support to continue her children's education.